Recently, a couple of times people asked me how to regain abdominal muscles after pregnancy. The problem is not so frequent as everyday questions about fitness and health, so I spent a bit of time to research and write about this topic. The separation of these muscles is normal during pregnancy. Muscles and connective tissues are stretched and thinning to adjust your baby. It may take several months after birth while these muscles begin to heal, to be closer to their initial position. For some individuals, this separation can be very significant and visible. It can lead to a weakening of the core and back pain. 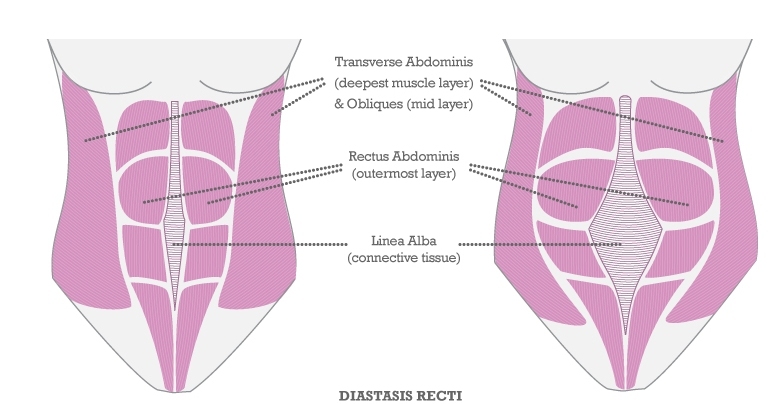 Condition (diastasis recti) can be significantly improved or cured say so specific static exercises to stabilize the core muscles (stomach and lumbar back). First, it is useful to check the degree of separation of muscles. Lying on your back, lift your head and shoulders slightly off the floor and put his fingers into his belly button. If your feet sink into your stomach, you have separation of your rectus abdominis muscle. You can then move the finger above and below the navel to feel different degrees of separation in various fields. Getting to know the degree of separation is useful when you start to exercise to track your progress treatment. Before we talk about exercise, we need to know. Abdominal exercises such as crunches classic and Plank are counterproductive and can only aggravate things. When this phenomenon separation of the abdominal muscles can be rehabilitated relatively gradual take on the classic sit-ups, but it is important to avoid until you build a stronger core. One of the first exercises to start after 6 weeks post partum it has been a simple breathing exercise that can help to isolate your core abdominal muscles. Lie on your back, knees bent, lower back is tight to the ground. Place your hand on your stomach and take a deep breath, try to exhale while I push my hand that was on his stomach, giving resistance exhalation with hand. This can work out and a dozen times during the day until you feel you have mastered the technique of execution. Start in the same position as the previous exercise. This time, bend your hips toward the chest with the involvement of the abdominal muscles and put pressure lower back to the ground. This is a very subtle movement, which develops core abdominal muscles and pelvic floor. These two exercises is very important to work frequently until you feel that abs muscles slowly return to the starting position, then you can gently exercise the other exercises the abdominal muscles. Make sure that you are doing the exercises slowly and in slow motion without sudden movements. U poslednje vreme par puta mi je postavljeno pitanje kako da se povrate trbušni mišici nakon trudnoće koji su se usled trudnoće razvdojili. Problem nije tako učestao kao što su svakidašnja pitanja oko fitnesa i zdravlja, tako da sam odvoio malo vremena da istražim i napišem nešto o ovoj temi. Razdvajanje ovih mišića je normalno tokom trudnoće. Mišići i vezivna tkiva se istežu i istanjuju kako bi se prilagodili vašoj bebi. To može potrajati nekoliko meseci nakon porođaja dok ovi mišići ne počnu da zarastaju, da se približavaju i vraćaju u početni položaj. Za neke pojedince, ovo razdvajanje može biti veoma značajno I vidljivo. Može dovesti do slabljenja jezgra i bola u leđima. Stanje ( Diastasis Recti ) može biti znatno poboljšano ili tako reći izlečeno specifičnim statičkim vežbama za stabilizaciju mišica CORA ( trbuh I lumbalni deo leđa ). Prvo, korisno je da proverite stepen odvajanja mišića. Ležeći na leđima podignite glavu i ramena, malo sa poda, i stavite prste na svoj pupak. Ako vaši prsti tonu u stomak, imate odvajanje svojih rectus abdominis mišića. Nakon toga možete pomerati prste iznad i ispod pupka da bi osetili različite stepene razdvajanja u različitim oblastima. Upoznavanje sa stepenom odvojenosti je korisno kada počinjete vežbe kako bi pratili svoj napredak lečenja. Pre nego što počnemo da govorimo o vežbama, trebamo znati. Abdominalne vežbe kao što su klasični trbušnjaci I plankovi su kontraproduktivni i mogu da pogoršaju stvari. Kada se ova pojava razdvojenosti trbušnih mišića relativno sanira može se postepeno preći na klasične trbušnjake, ali je bitno da se izbegavaju dok se ne izgradi jače jezgro tj CORE. Jedna od prvih vežbi za početak, nakon što je 6 nedelja posle porođaja prošlo, je jednostavna vežba disanja koja može pomoći da izolujete svoje osnovne trbušne mišiće. Lezite na leđa, kolena savijena, lumbalni deo leđa je pripijen za tlo. Postavite ruku na stomak i duboko udahnite, pokušajte da izdahnete I pritom gurate svoju ruku koja je na stomaku, dajući otpor izdahu. Ovo možete raditi desetak puta tokom dana, sve dok ne osetite da ste usavršili tehniku izvođenja. Drugu vežbu početi sa istim položajem kao u predhodnoj. Ovog put savijate kukove ka grudnom košu uz angažovanje trbušnih mišica I vršite pritisak donjim ledjima ka tlu. Ovo je vrlo suptilan pokret, koji angažuje osnovne stomačne mišiće i mišiće dna karlice. Ove dve vežbe je jako bitno raditi učestalo sve dok ne osetite da se trbušni mišići polako vraćaju u početni položaj, a nakon toga možete lagano upražnjavati druge vežbe trbušne muskulature. Pazite da se vežbe rade lagano i usporeno bez naglih pokreta. U organizaciji Saveza za rekreaciju i fitnes Srbije, 25. septembra 2015. godine, u hotelu Crowne plaza na Novom Beogradu, Vladimira Popovića 10, održaće se V Evropski fitness kongres. Svi prijavljeni će, uz prisustvo renomiranih gostiju i predavača iz zemlje i inostranstva, moći da saznaju mnoštvo aktuelnosti iz sveta fitnesa. Za sve učesnike obezbeđen je simultani prevod po najvišim standardima. Kotizacija po učesniku je 5 000 din. Uplatom kotizacije polaznik stiče pravo na prisustvo svim predavanjima, materijal za učešće na kongresu, ručak, kafu i osveženje tokom pauza, CD sa prezentacijama predavanja, sertifikat o učešću na kongresu. Prijave i dodatne informacije na telefon +381 11 311 56 48 ili na mejl office@srfs.org.rs. 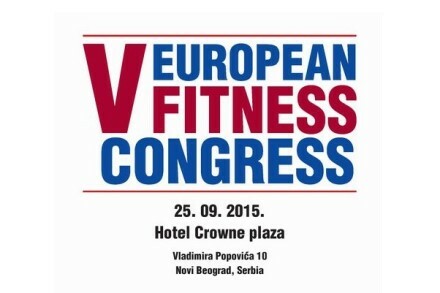 Organized by the Association for Recreation and Fitness Serbia, 25 September 2015, at the Crowne Plaza in Novi Beograd, Vladimira Popovića 10, will be held V European congress of fitness. All applicants will, in the presence of renowned guests and speakers from home and abroad, be able to find a multitude of news from the world of fitness. For all participants simultaneous interpretation is provided by the highest standards. The fee per participant is 5 000 dinars ( around 45 euro ). By paying the registration fee the student acquires the right to the presence of all sessions, materials for participation in the congress, lunch, coffee and refreshments during breaks, CD with presentations of lectures, a certificate of participation at the congress. Registration and additional information by phone +381 11 311 56 48 or email office@srfs.org.rs. We are often in a situation that we feel bloating in the stomach. We wonder what the causes of this and what is best to eat in order to avoid this unpleasant phenomenon. We will give some guidance and suggestions on how to solve this problem. When we feel bloating often we take any sparkling drink to alleviate this phenomenon, here’s why it’s not good. Carbonated drinks releasing carbon dioxide which makes flatulence even stronger. Also taking salty foods cause water retention in the body. 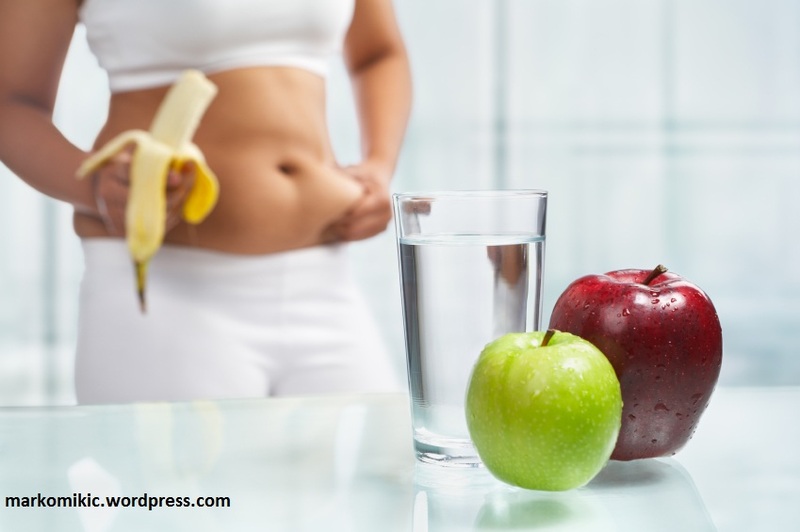 There are many other foods that cause bloating in the stomach but also more importantly, there are foods that make them reduce the sense of full of stomach. Now let’s look at what the foods that encourage or regulate bloating. Milk produce. Cheese, yogurt, ice cream can cause bloating. Almond, coconut or rise take if you are intolerant to lactose (try to avoid soy). Fruits and Vegetables. Some fruits and vegetables, including apples, pears, bananas, raisins, asparagus, potatoes, cabbage, broccoli and lentils contain complex sugars and starches that are heavily degradable. 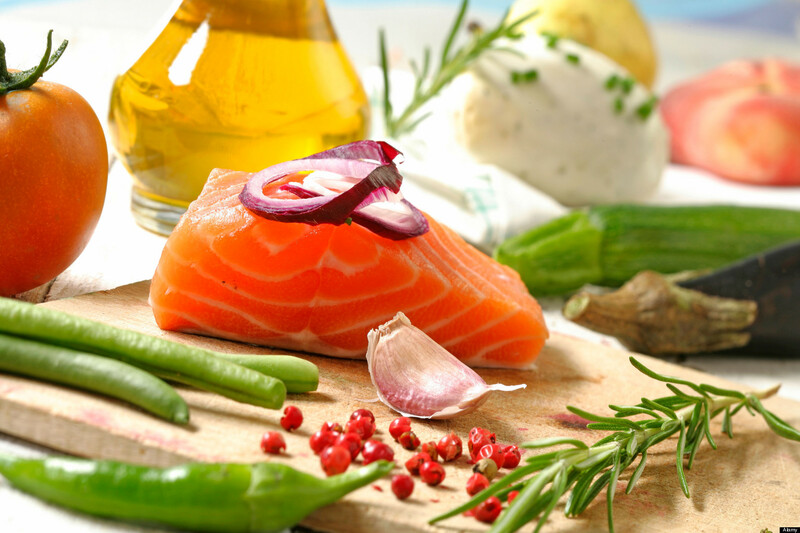 It is obvious that this is not the food you want to avoid so it’s best to cook these foods to boost their rapid decomposition and digestion in the body, it also reducing the portions. Beans. It contains sugar oligosaccharide, which is not easily digestible for our body, so that when it reaches the colon, activates the bacteria that causes bloating. Immersion beans proven to reduce the amount of oligosaccharides which does not diminish the nutritional value of the beans. Chewing gum. 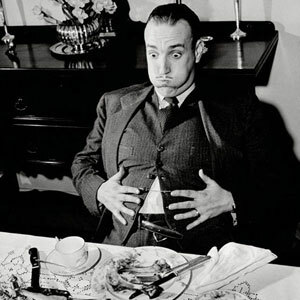 When you chew comes to swallowing air, which will cause stomach bloating. It is even worse if you opt for sugarless gum because it often contains sorbitol and xylitol, which is fermented by bacteria in the intestines and cause further bloating. Fatty foods. Fat slows digestion, prolonging the food fermentation time – makes it longer. Artificial sweeteners. Artificial sweeteners such as sorbitol are not good for the digestive process. 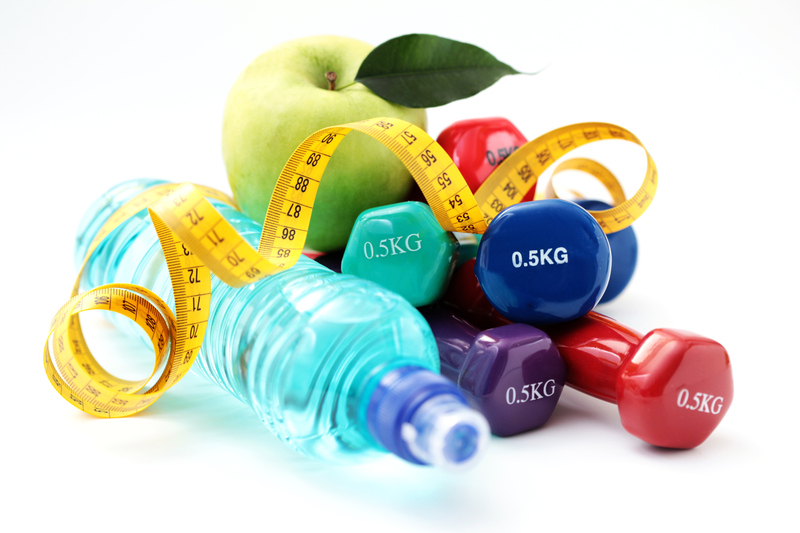 In addition to juices, candies and chewing gums can often be found in low calories food. Spicy food. It stimulates the release of stomach acid. Cranberry is a natural diuretic so it will help in removing excess fluid in the body. Ginger is one of the most common anti-inflammatories. Green tea is also responsible for speeding up your metabolism. Cucumber will reduce swelling and bloating of the stomach. Whole grains (excluding those that contain gluten) in themselves have a high percentage of fiber. Apple cider vinegar has a high percentage of minerals and potassium that help in cell clean but also have a role in the breakdown of food. Coconut water has a high percentage of potassium that will help in expelling sodium from the body, thereby reducing bloating. Pineapple contains bromelain, an enzyme that accelerates the process of digestion.